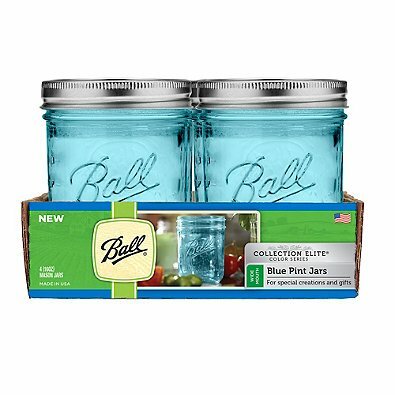 I wanted to make something special out of those limited-edition Ball Mason jars I received — and I decided to make mason jar candles out of a few. Want to make your own? I’m giving away all my candle-making tricks in this tutorial. I like wide mouth jars even better than the regular ones. optional: thermometer, fabric or burlap for lid decorating, bakers twine, ribbons, gift tag, candle burning warning stickers, etc. Start by melting the wax. 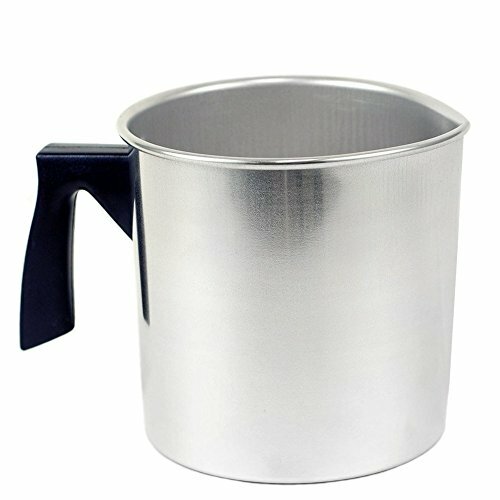 Put the wax into the aluminum pot, and put that one in another pot filled with water. Heat up the water, but don’t let it boil. You might have to put a heavy plate on the top of the pot to keep it from floating up. 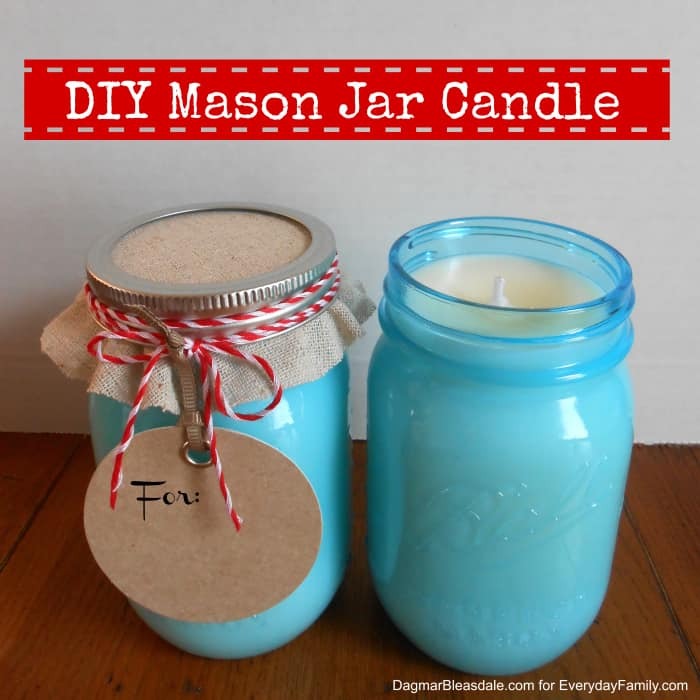 While the wax melts, wash the mason jars and lids and dry them. Line your countertop with wax paper or paper or placemats that can get ruined. 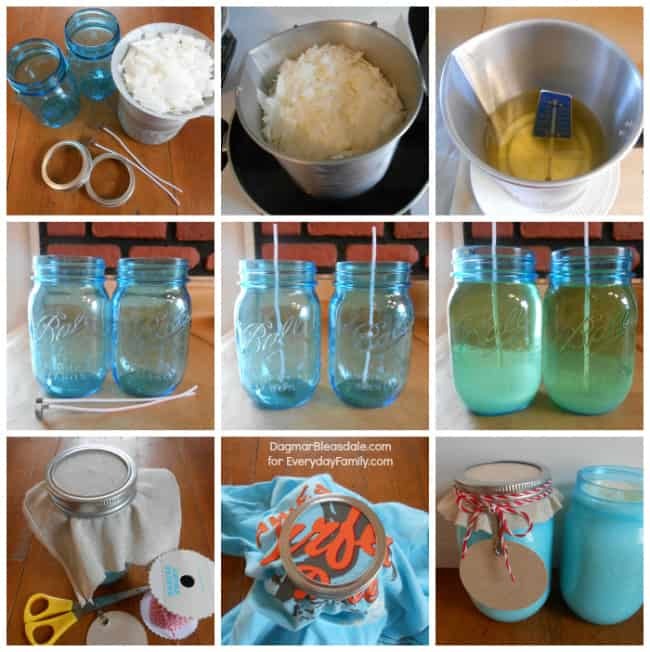 After the wax is melted, sit the pot on a plate on the table near the mason jars. While the wax cools down a bit, take the wick and dunk the tab into the wax and then place it in the bottom of the jar. The wax will glue it down. Make sure it’s centered. You don’t need a thermometer to know when you have the ideal temperature for pouring the candles. When you stir the wax, you want it to look like thick maple syrup, not thin like water, at least with the kind of wax I use. When the wax is cooled down and looks thicker when you stir it, slowly pour the wax into the mason jar, but not all the way to the top. I pour my candles in two stages – the surface layer looks smoother that way. If there are any bubbles in the surface of the wax, pop them or eliminate them by sticking one of the wicks into it. Since you will pour another layer on this one, the first one doesn’t have to be perfect. When the first wax layer hardens, double-check that the wicks are centered before you pour the last layer. You will most likely have to melt another batch of wax. Make sure the wax is the right temperature before you pour it to get the best result. Once the second layer is completely cool, after about an hour, cut the wick shorter. It’s important to keep trimming the wick when you or the recipient burns the candle. Give the candle away with written instructions or add a warning sticker (available in candle supply stores) to the candle. Now you are ready to cut out fabric for the lid decoration. Only use thin fabric, otherwise you won’t be able to screw on the lid ring over it. I used burlap for one candle and an old T-shirt for the second lid. 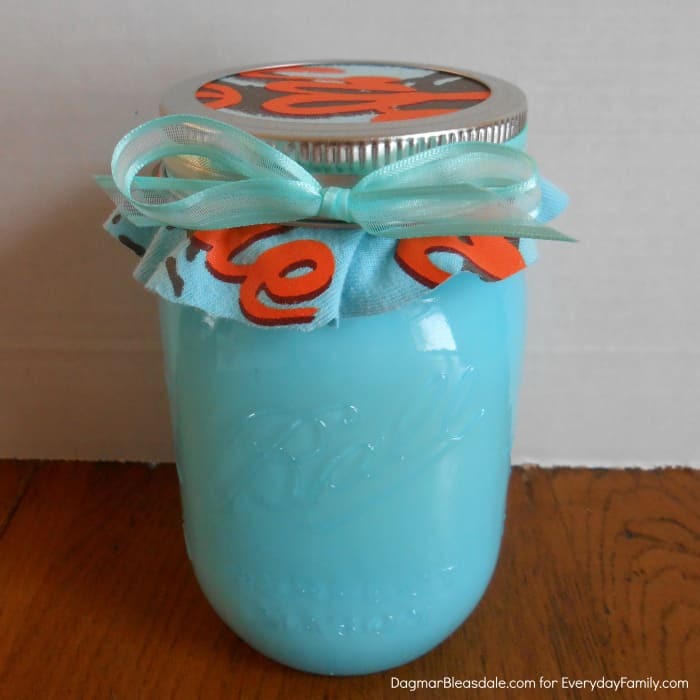 Put the fabric over the top of the jar and screw on the lid ring. Then cut off the excess, leaving about half an inch sticking out from under the lid ring. 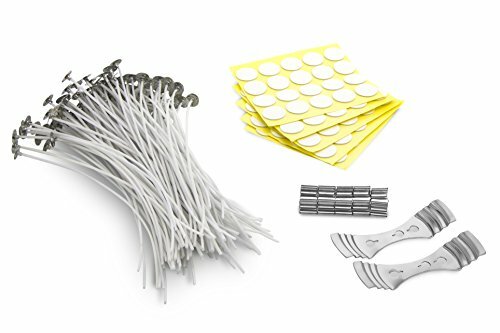 Decorate it further to your liking with gift tags, stickers, yarn, etc. Hold on to the original lid top so that you can use it once the candle is used up. Now you are all set for easy-to-make teacher’s gifts, and Mother’s Day, or hostess gifts! I have essential oils, would those be ok to use to scent the wax? I’m not sure. 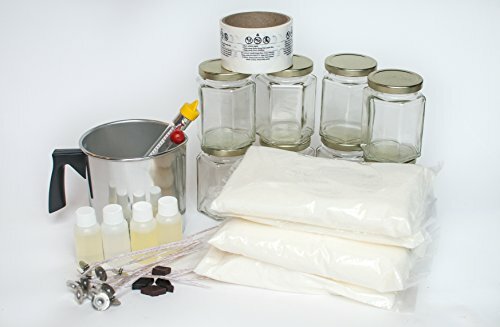 I know you can buy scents especially for candle making. I’d Google this. 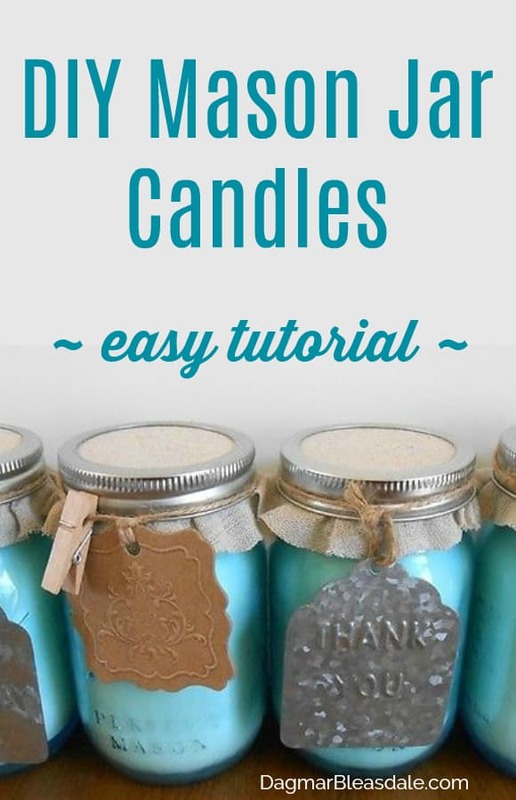 Have never made candles, if I did I’d want to make some that are good for the air.Have heard some people with asthma/allergies can have problem from the smoke from wax candles. Would want to research that problem. Sounds like something that’s doable so want to try it. I love candles and use them often. Have big dog in house so if somebody coming over I light a candle if no time to deodorize other ways. Thanks for sharing the process. 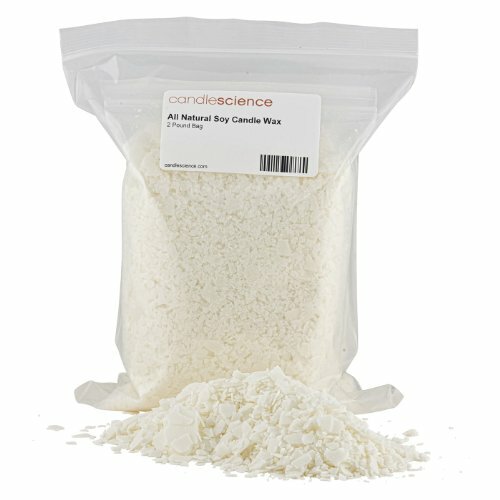 Can you recomend a source of scents? I am trying these out for wedding favors! I am doing a smaller jar, a 4 oz quilted mason jar for each of my wedding guests! I’m crossing my fingers that it turns out well! Wonderful, Cheri! You’ll figure things out after the first batch. I let the wax cool a bit before I pour the first pour, then let that cool, and then pour the second and last layer. It makes the top look pretty. Good luck! Let me know how they turned out. Love them! So cute. Thanks for sharing. 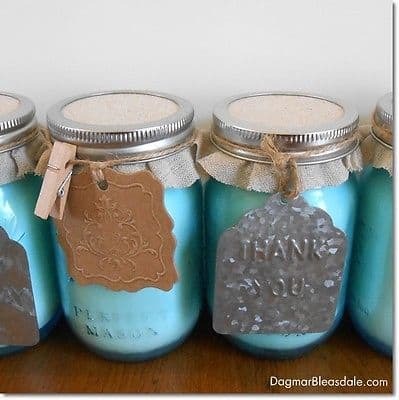 What a good idea of DIY candles, I have some left over pieces of crockery which I will make use of.